18 years after its launching the euro still doesnt work well. An essential element is still lacking to make it a durable currency. Behind the scene the central banks are still keeping it upright with temporary emergency solutions. Banks lend out money that doesnt exist. Borrowers receive a balance, a voucher of their bank. With it, they can order their bank to make payments for them. Banks mutually cross all payment orders against each other and at the end of the day they only pay the remaining differences. This way they can operate with very little money. However, with very little money the risk increases they cannot pay ocurring losses. They reduce this risk by lending more and more, thus putting more and more balances into circulation (inflation). This decreases the value of each money unit and allows borrowers to pay back their outstanding debt more easily. This prevents most of the losses borrowers would otherwise cause. However, this method comes with a drawback. More and more outstanding loans means more and more interest to pay. All interest to pay ends up in consumer prices. In 1950 the share of interest in consumer prices was just 7 percent. By the mid-seventies it had doubled. (It is over 35 percent today!) From 1974 the share of interest also increased in the taxes. During the unrest that followed the dislocation of the goldstandard in 1971, the bankers had succeeded to convince the G10-governments to borrow no longer from their central bank (free of interest), but to borrow from private banks at interest. 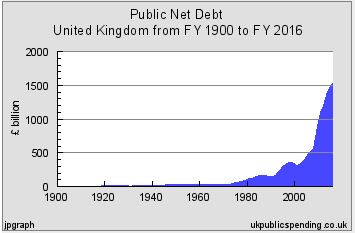 The following years, the interest on interest caused an explosive increase of the public debts. Then, decades of budget cuts and privitizations destroyed many of the social and cultural achievements and changed the G10-countries fundamentally. Financiers dictate the rules now. There is no end to the need of expansion of banks, but there is an end to the amount of interest a population can pay. That is why, already since the sixties, bankers lobbied for open borders in order to parasitize on a larger population. That is where the dreams of some europhiles for a single European currency got mixed up with the urgency for the expansion of the banks. In the coming eurozone the banks got the freedom of movement of capital in 1990 and a decade later the euro came. However, the euro area was (and still is) far from ready to handle a single currency. In particular, to keep a currency circulating a central fiscal system is needed, which prevents the forming of stocks of money in some places, while other areas run out of money. The lack of such a central fiscal system already caused severe troubles in some countries. Today, central banks apply a bookkeeping trick to stabilize the circulation of the euro somewhat, saving it at least for the time being. We have free capital movements now. You can leave your barrier open! In the 16th century various coins were struck in the silver-rich valleys of the Bohemia, each with the name of their own valley. The first was the Joachimsthaler in 1518. They were called "thalers" in German. (Tolar in Czech, dollars in English, daalders in Dutch). From 1566, a thaler with a standard silver content was introduced into the Holy Roman Empire. There were different subdivisions in different countries. Although the standard silver content changed several times, the coin was used hundreds of years throughout Europe. Soon, the problem of the "Latin" currency union was that prices of gold and silver were not stable and also fluctuated between each other. Then again the silver coin was undervalued, then again overvalued. Also, the economic situation in each country was different, resulting in a shortage of coins in one country, while large stocks of stocks built up elsewhere. It called for new conferences, adjustments, new rules and in 1873 for the exclusive choice for the gold standard. Debts, wars and the printing of paper money brought the currency union to its end in 1926. 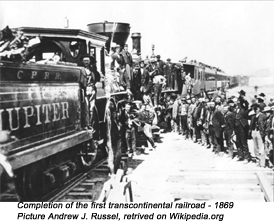 Inventions of the steam locomotive (1804), telegraph (1837), telephone (1876), light bulb (1879) and car (1883) had led to a huge demand for investment money. When this industrial revolution began, it was usual that wealthy people and merchants entrusted a goldsmith with the care of their gold coins for a small fee, because he had a safe vault. He then wrote a receipt (promise), with which they could recoup their gold, but they could also use it to purchase goods. With the money the goldsmith had earned, he also provided loans. Most borrowers preferred to have a promise, rather than to go around with a bag of gold coins. Thus the gold usually remained in the vault. With the rising demand for loans, the goldsmith also began to lend out the gold of his depositors. They demanded a share of the interest and this way the goldsmith became banker, who, on the one hand, received in trust gold coins and, on the other hand, lend them out to other customers. But when the demand for loans continued to rise, he also started to lend out promises for gold coins he didnt have at all. As long as not too many customers claimed their gold pieces at the same time, nobody would notice and this way he could get still more interest. This was the start of the lending of non existing money. In financial literature it is called "fractional reserve banking". (Banks only have a fraction of the cash required to pay what they owe to their customers.) This system has now become standard throughout the Western world. Despite the fact that this process is surrounded by law and regulation, ethically it remains swindle and comparable to counterfeiting money. It is the main cause of the endless problems with the banks. Around 1840, the United States had about a thousand banks. Around 1860 there were about 1,300 with about 7,000 different banknotes. And by 1920 there were nearly 30,000 banks. This growth was accompanied by regular banking crises, such as in 1819, 1837, 1857, 1873, 1893 and 1907 , in which, sometimes, hundreds of banks failed almost simultaneously. The 1907 crisis was the trigger for the creation of the Federal Reserve in December 1913. This central bank obtained the exclusive right to create the official dollars, regulated the other banks and reduced bankruptcies, thanks to a system with a joint pot of money, with which banks in trouble could be rescued. The fact that private banks lend out non-existing money makes them very vulnerable. Of course, they have insufficient means to pay out the balances of all their customers, if the latter would ask for it. But they even have insufficient means to cope with the losses, if an economic recession would occur and the borrowers would not be able to pay back their loans anymore. The banks try to avoid such a recession by creating a permanent inflation. They do so by supplying more and more loans all the time, resulting in more and more balances in circulation, thus decreasing the value of each money unit. As a result, borrowers can profit from the decrease in value of the outstanding debts and pay them back more easily and banks avoid the major part of the losses that borrowers would cause without this inflation. However, this method cannot be employed indefinitely. More outstanding loans also mean a growing interest burden, which increases the cost of goods and services and in the end has to be paid by the consumers. So the banks cannot live on the same population indefinitely. With loans, banks bring new bankbalances into circulation all the time, but the successive payments made with these balances do not spread them spontaneously across the whole society, although everybody needs "money" to live. It is the duty of the government to levy taxes and redistribute this "money" through government spending. In this process politics determines the extent to which this redistribution is executed in a useful, social and just way. Geographically, a redistribution must also take place. Money flows away from places where consumption is higher than production and rolls to places with more production. Taxes must ensure that money is taken away where it accumulates and is pumped back to places where shortages arise. This can be done, for example. by establishing public services or universities in these places. Thus, a part of the taxes from the most productive areas goes to less productive areas. If that would not happen, people in the less productive places would have to borrow more and more to survive. And borrowing means additional bank balances in circulation and thus more inflation for the whole country. On top of that, the growing interest burden would reduce productivity. We dont want that. Therefor, within a country, the principle of solidarity applies. Note, that with too little taxes and/or inadequat government spending, companies and banks would get in trouble, as default payments would increase. It was risky to allow the banks to grow freely across the national borders, as long as deviating rules, lack of control, fluctuating exchange rates and devaluations could cause surprises. Therefore, international capital movements had remained regulated and limited. Within the framework of European cooperation, there has been a wish to arrive at a single currency since the beginning. If it were there, banks could grow unimpededly throughout Europe. But, logically, such a single currency could only be the final stone of a European Union with a centralized tax system to ensure an adequate redistribution of the "money" put into circulation by the loans from private banks. But the bankers could not wait that long. 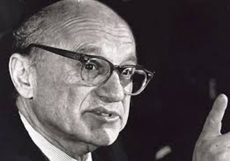 At the time, leading economists, like Milton Friedman, had already warned that a single currency can only work in an economically homogeneous area, where people can also easily move to places with a lot of activity. But European countries dont have equivalent economic opportunities and the possibilities for labor mobility are very limited. Anyhow, Pierre Werners report of October 1970 disappeared into a drawer, because half a year later the financial world changed. In Bretton Woods, in 1944, 43 allied countries had agreed to keep their exchange rate constant against the dollar, which in turn represented a specified quantity of gold. The success of the dollar also made that, around the world, commodities, oil, gas and many other products were traded in dollars. Foreign central banks could exchange dollar surpluses in the US against gold. However, during the Vietnam War (1955-1975), the US had spent much more dollars than their gold reserves allowed, and in 1971 they were unable to deliver gold any longer. That meant the end of the gold standard. Since then, the currencies are fiat, meaning backed by nothing at all. Supply and demand on the money markets determine the exchange rates. Until 1974, the government borrowed from the central bank. And because the central bank, after deduction of its costs, pays out its profit to the Treasury, this was actually without interest. In 1974, profiting from the unrest after the collapse of the gold standard, the bankers convinced the ministers of finance from the G10 countries to borrow no longer from their central banks (free of interest), but only at interest from private financiers. For banks, lending to the government is without risk. The government can always levy taxes. The interest is free manna. Since then, in the G10 countries together, hundreds of billions of tax money have already flowed to the banks. This coup has completely changed the G-10 countries. Because of the interest on interest the government debts went through the ceiling. 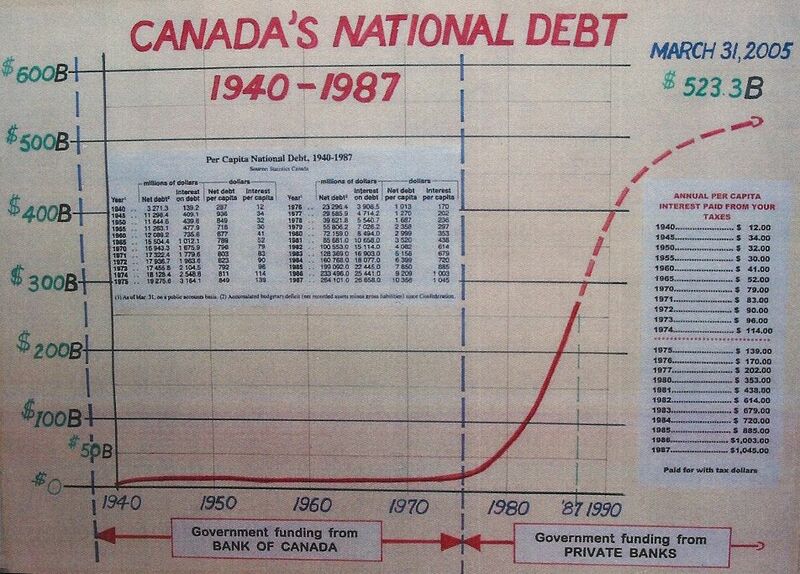 Public debts Belgium, Netherlands, United Kingdom and Canada. To reduce the debt and interest burden, public facilities such as gas, water, electricity, mail, telephone, railways, care etc were privatized and spendings were reduced dramatically for police, military, education, libraries, sports facilities, culture, care, and the support of the weaker citizens. Profit-seeking private financiers took over the public facilities. 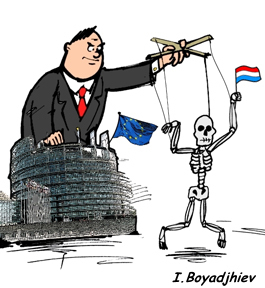 Of the former caring government only a breaking up skeleton is left, steered from Brussels like a puppet on a string. After the silent coup of 1974, banks optimized their profits even further by introducing electronic payment methods, such as credit cards, debit cards, and internet banking. In this way, they could reduce their need for cash even further. With less and less cash, the risks increased. At the same time, the banks had increasingly conquered freedoms and the restrictions on capital movements in the future eurozone had largely disappeared still before there was a joint central bank. In 1988, the central banks decided to establish a capital requirement. When lending to businesses and industry, banks must have an equivalent of capital of 8% of the outstanding loans, 4% on housing mortgages, and 0% on government loans. In relation to the outstanding risks the required capital does not represent much, but the effect of this rule is that the banks must add a portion of the profits to their capital each time before they can lend out more. 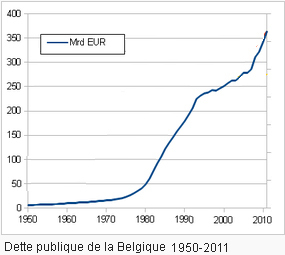 In 1999, in spite of all warnings by Milton Friedman and others, the euro was introduced into an economically non-homogeneous area and without the necessary central tax system to ensure a durable circulation of the money. The bank notes with Greek imprint were already there and Greece was taken into the eurozone in 2001. And as foreseen, it soon went wrong. That was not because of "corrupt politics" and "lazy Greeks" like Dutch politicians trumpetet to hide their lack of knowledge and insight. When it comes to working hours within the OECD countries, Greece is ranked 3rd with 2042 hours a year and the Netherlands second last (34th) with 1425 hours a year. And when it comes to proven corruption, the Dutch Ministry of Finance, with its privileges for tax evasive mailbox companies, is doing as well as any banana republic! The Netherlands, however, is number one in taking advantage of the intra-eurozone trade. And because of the absence of an appropriate eurozone tax system, they are also the largest contributors to the poverty and misery in the euro-countries with lower productivity. When products from low-cost countries (such as the Netherlands and Germany) can be imported freely in countries with higher costs (such as Greece, Portugal and others), consumers will opt for cheaper import products. The euros disappear from the country as payment for import products, while local producers go bankrupt, unemployment increases and tax revenue decreases. The government has to borrow more all the time and eventually ends at the mercy of speculators, who force up interest rates and make the country dependent on "help". To keep the euro going durably, a common tax system is needed to take away euros where they accumulate and pump them back to places where shortages arise. The euro could eventually have become the final stone of the European Union, but the banks could not wait and urgently needed to go across the national borders to assure their expansion. The euro has been introduced still before there was an appropriate eurozone tax system. Many euro-countries have already experienced the consequences. Indebted countries got the International Monetary Fund, the European Central Bank and the European Commission at their door. Those countries now know what the euro means. The more productive countries havent twigged anything yet. But for the moment they dont have to worry yet. There is still nothing at the horizon that indicates there will soon be a eurozone tax system, which pumps back the trade surpluses from the exporting countries to the importing countries. But how did things go before the euro? When a country imported more than it exported, it could devaluate its national currency. This way, imported products became more expensive for the local population. 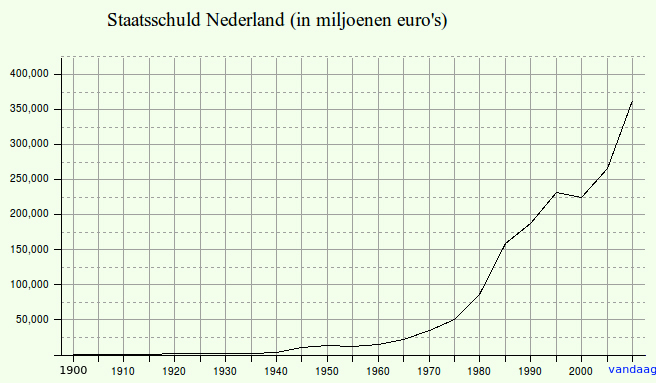 (The Greeks had to pay more drachmes to buy products in Deutsch Marken.) For foreign buyers, local products became cheaper. Imports were hampered, exports increased, thereby stimulating the countrys economy. For example, in 1995 Greece and Portugal had much more imports than exports. Compared to their Gross National Product, their trade balance deficits were 11% and 9% respectively. These, however, did not lead to insurmountable problems. They could devaluate their currencies. The euro works as a fixed exchange rate. Countries can not devalue their currency anymore. Without an appropriate common tax system, the less productive countries will end up in debts. This situation is not the fault of the countries that get in trouble this way. They have been seduced by the beautiful promises of a prosperous eurozone. The problem of the eurozone is simple. Economically, it is not a homogenous area. Per country there are major differences in production costs. These are mainly due to the intrinsic differences between these countries, such as the differences in climate, soil condition, the presence or absence of fuels, raw materials and sufficient fresh water, the presence of obstacles to transport and infrastructures (mountain ranges or 10,000 islands, like in Greece), as well as language and cultural differences. Also, the average transport costs are higher as a country is more on the edge of the eurozone. Therefore, the best solution for a prosperous Europe is NOT a single currency but a good cooperation, in which each country determines what it needs for imports and what it has to offer for possible exports. Only when we respect each other and trade is limited to what is good for each of us, we can create prosperity for all. That will not happen when we fiercely compete with each other and drown the weakest in a swamp of debts. Very soon emergency funds with hundreds of billions of euros were created. These were not so much to save the euro, but to safeguard the debtors from losses. The emergency funds were followed by the ESM, the European Stability Mechanism, in 2012. Keep quiet! We build Europe! That is a bank that is allowed to grab unlimited amounts of taxpayers money from the euro area governments treasuries and can use these funds without any form of democratic control, in principle, to provide emergency loans in the euro area. However, the ESM Treaty has been drafted so that the bank can not be sued. They can do with the money whatever they want. The treaty is an invitation for corruption. Banks had little cash in relation to outstanding loans, and governments had (and still have) high sovereign debt since the 1974 coup. High sovereign debt can endanger the euro when speculators force up interest rates. From this perspective, it is not surprising that the ECB bought government bonds massively, especially those held by banks. This way the banks received more cash and the central banks got hold of government bonds. When customers order their bank to make payments for them, those payment orders are grouped at the banks and all outgoing and incoming payments cross each other for the major part. At the end of the day, only the remaining differences are transferred via the central bank. As for international payments, they are handled between the national central banks. In the euro countries, since 2008, this is done through a system of the ECB, called TARGET-2. Here the central bankers have devised a nice trick to save the euro for some time. 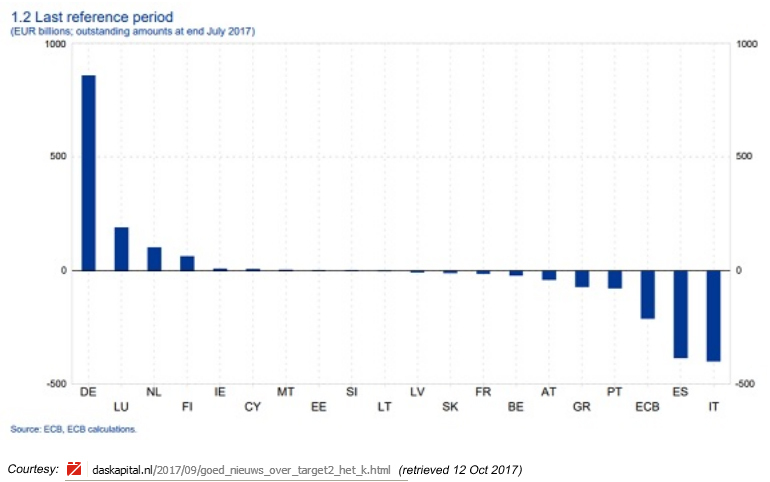 The biggest problem of the euro is the large outflow of euros from the southern countries due to the imbalance in productivity between the euro countries. The central bankers are now stopping this outflow in a book-keeping manner. A payment from a Greek importer to a German exporter now looks like this: The Greek importer orders his bank to pay the German exporter. The bank deducts the amount from the importers balance and pays the money to the Greek central bank, announcing that the money is intended for the German exporter. Logically, the Greek central bank should now pay the money to the German central bank, which then leads it to the exporters bank. However, this does not happen. The Greek central bank keeps the money and the German central bank creates new money, which will pay the exporters bank. The central banks among them keep track of how much they still have to receive from or still have to pay to each other. As a result, German banks are getting more (new) money from their central bank all the time, as payment for exports. They have a cash surplus. On the other hand, banks in Greece have a permanent outflow of cash. To get new money, they should normally sell high-quality bonds or shares to their central bank, and, as usual, promise to repurchase them at an agreed date at an agreed higher price. But with a permanent cash outflow, those high-quality papers will run out. Fortunately, central banks are free to accept less high-quality paper too. And because the bank must promise to buy them back at a higher price, the central bank can still make the profit it wants. So it doesnt really matter that much what the central bank buys to create money for the banks. The existence of this solution seems to show that there was no need at all to let governments become a target for speculators who forced up the interest rates. Apparently this happened on purpose, to manoeuvre governments into a desperate situation and make them accept the policy changes wished by the IMF, ECB and European Commission. With emergency solutions, central banks can hold the euro upright for some time. But in the end, a single currency will come down to solidarity, to answer for each others debts. And I do not see that happen in Europe soon. And when the euro collapses? Then we will all be freed from it and this adventure will go into the history books as the most expensive monetary experiment ever. And when the euro collapses, it has no worth anymore and all debts labeled in euros will have disappeared. Nice, isnt it? Well, of course, it depends on whether we get something better for it. That chance is nill as long as we dont have real democracy and parliaments let themselves be taken hostage by three or four party bosses, who decide together in secret negociations which laws will be in their reign. These party bosses intend to grab the power and to prevent the democratic functioning of parliament through open and free debates by all parliamentarians together. Such voluptuaries of power will never allow a democratic money system. Unsecured bank balances are comparable with counterfeited money. The bank doesnt lend out existing money. The bank creates new balances with a line of book-keeping, in which, on its balance sheet, the debt of the borrower is booked on the debit side and an equal balance for the borrower is booked on the credit side. Creating a bank balance this way is comparable with putting into circulation counterfeited money. The balance takes the value of a similar amount of money already in circulation. By the addition of this balance the average value of all money decreases a little bit. Thus, the new balance comes at the expense of everybody who has money. The only difference with the counterfeiters is that the banker gets his fake money out of circulation after some time. He does so by destroying the created balance in his book-keeping when the borrower pays it back. The fact remains that during the whole period of the loan the balance is counterfeited money. Also, because the banker supplies new loans all the time even before the earlier loans have ended, the fraude becomes continual and has the same effect as that of coiners. In 1910 representatives of the Houses of the Rothschilds and the Warburgs from Europe and the Morgans and the Rockefellers from the US met in secret on Jekyll Island, in front of the east coast of the US. Growing interest burden, that finally has to be paid by the consumers. In 1950 the share of the interest in the expenses of households was 7 percent. In 1975 this was 14 percent. In 2000 it was 31 percent and now we are above 35 percent!